I have photographed two weddings at this quaint little chapel on Hilliard-Rome Rd in Hilliard. Although there are a lot of large buildings in back of it where couples can get ready, the only way into the chapel is through that front door. 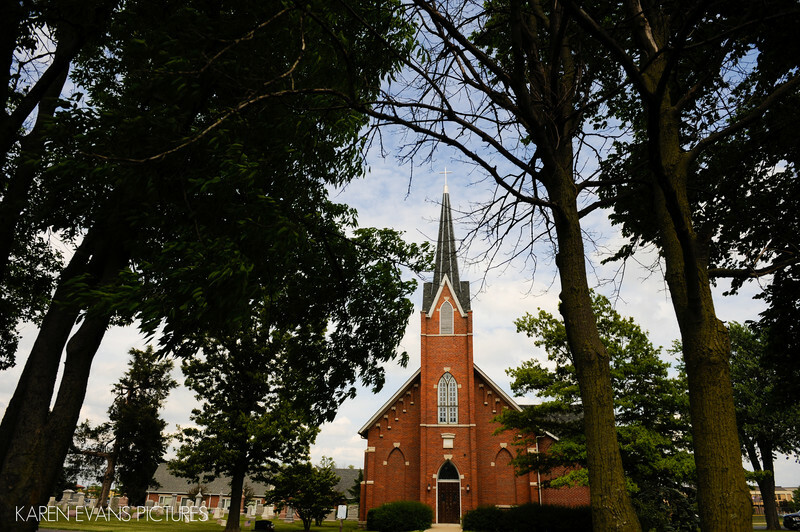 I love this shot that makes it appear to be nestled in the trees.Keywords: st james lutheran (9).